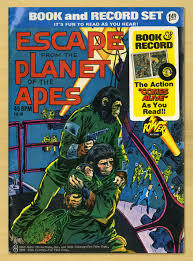 Escape from the Planet of the Apes Book and Record Set. Comes with full colour comic and 45rpm record. 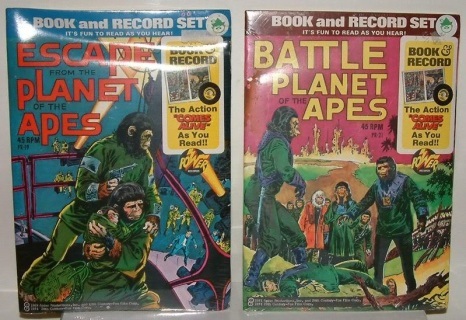 Battle the Planet of the Apes Book and Record Set. Comes with full colour comic and 45rpm record. Battle for the Planet of the Apes and Escape from the Planet of the Apes records set. Both come with a full colour comic and 45rpm record. Very rare originals from 1974! 9' Tall. Wind-Up Tin Plate. Medicom -Japan 2000. Only 1000 Produced. 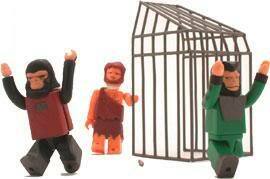 (See also Tin Toys). 9' Tall. Wind-Up Tin Plate. 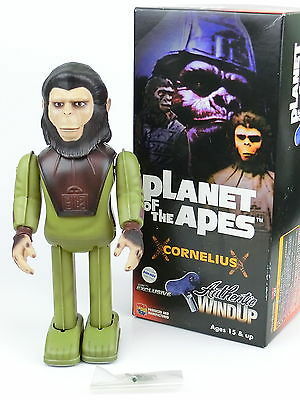 Medicom-Japan 2000. Only 1000 Produced. (See also Tin toys). 9" Tall Wind-Up Tin Plate. 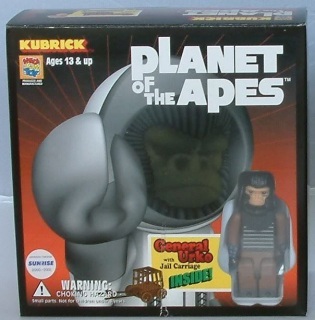 Medicom -Japan 2000. Only 1000 Produced. (See also Tin toys). 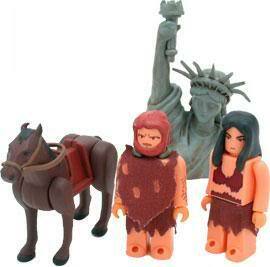 Medicom 2000. MIB. 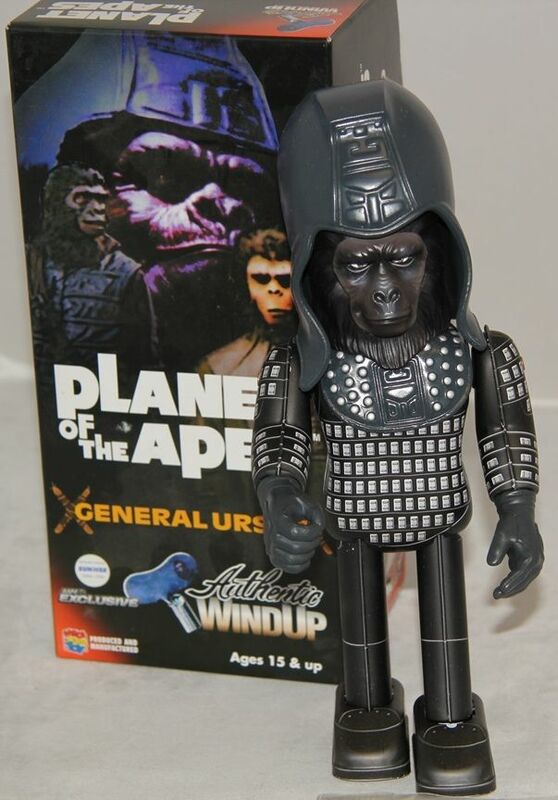 3 x Figures - General Ursus plus 2 x Soldier Apes & Stalion. 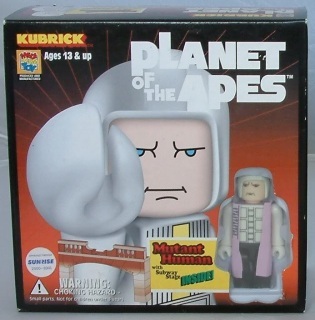 Medicom 2000. MIB. 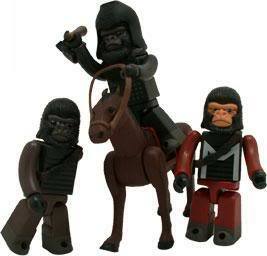 Includes General Urko, Soldier Ape, Jail Carriage plus Stalion. Medicom 2000. MIB. 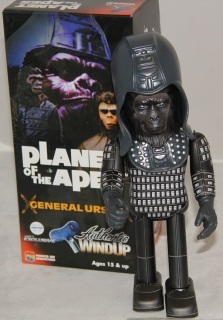 3 x Figures - Caesar, Caesar Land's Ape, General Aldo & Bridge. 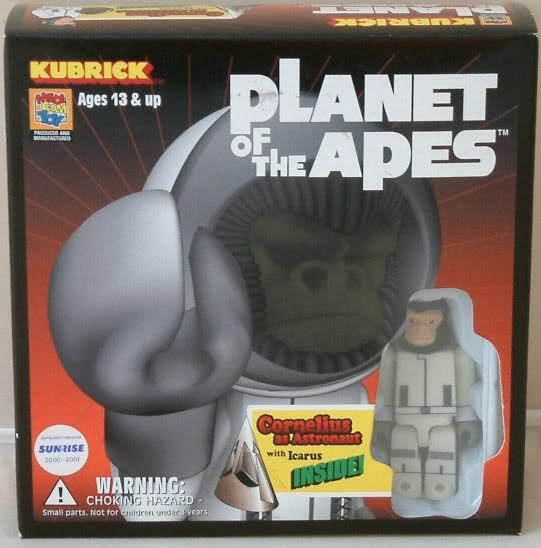 Medicom, 2000, MIB. 3 x Astronaughts with Icarus Spaceship Capsule. 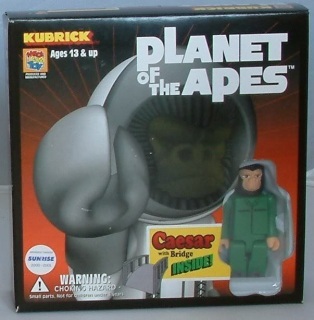 Medicom 2000. MIB. 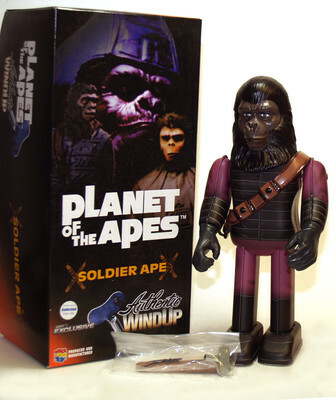 Includes Soldier Ape, Jail, Taylor & Lucius. Medicom 2000. MIB. Includes Brent, Mutant Human soldier, Mutant Human & Subway Stage.